The most exclusive shisha pipe in the world. A one-of-a-kind piece, evaluated in 2.4 million Euros and exclusively created for the Krona tobacco launching. 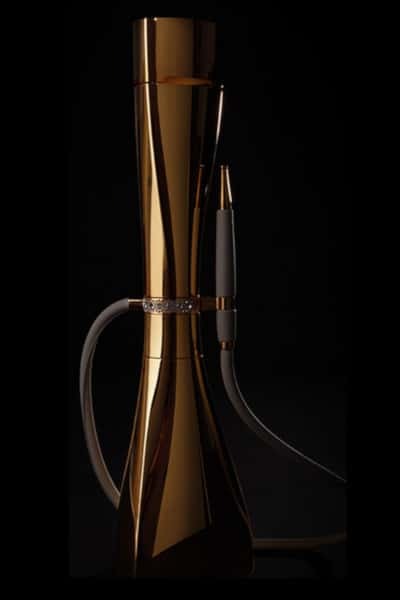 18K gold shisha pipe, diamond-embellished patented center ring, that allows the pipe to rotate around its own axis, and strategically-placed magnet that holds the mouthpiece perfectly to the tower.